As I continue to walk in faith and pursue a deeper relationship with Christ, I am always wanting to learn more so that I can in turn do more for the kingdom. So when I read through Romans 12 this weekend, I was enjoying every part of it. It has a very simple idea, we are to be a living sacrifice. A sacrifice is an offering to Christ, and when Paul says we should be a living sacrifice, he means that we are to offer ourselves up. Pretty simple, but then I started to wonder, what it looks like exactly to put this into practice. The chapter has two main ideas with one overarching theme. Romans 12:1-2 says, “Therefore, I urge you, brothers and sisters, in view of God’s mercy, to offer your bodies as a living sacrifice, holy and pleasing to God—this is your true and proper worship. Do not conform to the pattern of this world, but be transformed by the renewing of your mind. Then you will be able to test and approve what God’s will is—his good, pleasing and perfect will.” Which immediately targets the first focus that every leader has to have if they want to be a sacrificial one. A sacrificial leader works on their own heart first. It’s easy to tell other people what they need to fix before we take an honest look at ourselves. What that first part of chapter 12 shows, is that we need to first work on our own focus and attitudes. The first step that we need to take if we want to lead sacrificially is to transform all of our mind. Not some of it, but all of it. God doesn’t want a leader who is still clinging to something that can only bring death. Now do we all have struggles? Well duh we’re human, but this verse is saying that we need to work towards living a pure life. So if you struggle with anything, don’t feel like you can’t ever be a leader, just don’t let that sin take over your mind. Seek council, listen to wise words from people who have gone before you, take the necessary steps to guard your heart from things that only bring pain. Step into freedom. Earlier I said there was an overarching theme with the two points, and that is the action of love. As you change your mind, practice showing love to others and good leaders that are around you will show you love. Transform your mind, step into freedom, and show love to those who help you get stronger. Then we see the second main way to be a sacrificial leader. A sacrificial leader works with a team. If there’s one thing I’ve learned from people who have led me, is that we can’t live life alone. Romans 12:3-5 says, “ For by the grace given me I say to every one of you: Do not think of yourself more highly than you ought, but rather think of yourself with sober judgment, in accordance with the faith God has distributed to each of you. For just as each of us has one body with many members, and these members do not all have the same function, so in Christ we, though many, form one body, and each member belongs to all the others.” A leader values the people they lead, and a sacrificial leader knows that they need people to carry out the mission. I have never met anyone who was unimportant, all of us have something to contribute to one another. Each week I serve alongside a fantastic team, everyone with a special skillset that makes them a vital member of the team. In Daystar Kids team at the New Garden Campus, Beth leads using this formula, encouraging us all, and empowering us to be the best we can be. Every area of ministry is like this, it’s the reason I love serving. So naturally, as I find myself in leadership positions, I want to do the same. A sacrificial leaders empowers their team to be the best they can be. As I thought more about this a great example came to mind. The X-men exemplify what it means to be a team of sacrificial leader. Now before you roll your eyes at me, let me explain. I have always loved the X-men comics because it’s a great example of being a part of a team a leading wherever you are at. 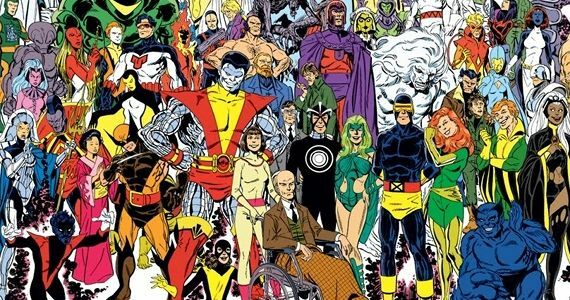 The X-men are all mutants with supernatural abilities, who are socially outcast because they aren’t understood by the rest of society. Instead of hurting others, the X-men defend the world from bad guys, each using their special skills to be the most effective as a team. It’s such a great example of how to be an effective sacrificial leader, working together to accomplish a common goal. In the body of Christ, the same is true, we work together using our gifts and talents to build the kingdom. To bring it together, a sacrificial is one who is pursuing Christ each day, and uses their talents to serve within the body of Christ. A leader is not someone who sits above others and barks orders, they are people who are willing to step into what they know God wants them to do. I want to be a sacrificial leader, I want to step into what God has for me, and I want to do all of it with an attitude of love for those who need it. I hope that this helps you be an effective leader no matter where you are in life because, you are special, and you have so much to offer.